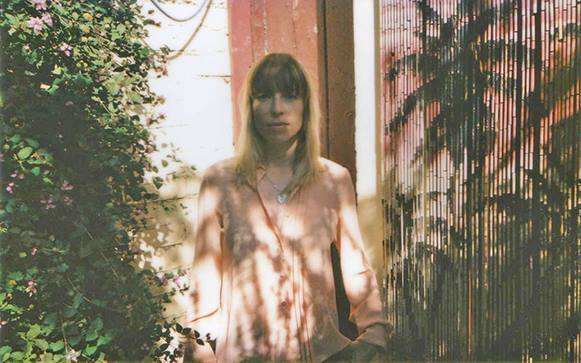 Melbourne singer-songwriter Ali E recently released her stellar EP Creatures. We had the opportunity to ask her about the EP, her current tour, as well as any advice she has for independent artists trying to breakthrough. You released your EP ‘Creatures’ recently, how does it feel to finally have it out? Great! It's so good to finally have it out in the world. It was a pretty drawn out process with doing 2 tracks the summer of 2014, then the other 4 the summer of 2015. We had a couple of single launches in between the recording dates so that was good to keep the momentum up, but yeah, it's really nice to have it all packaged up and ready to go. We're still waiting on the vinyl to arrive from Czech Republic though (there were a few technical difficulties), so hopefully that gets here soon, because CDs and digital versions don't really cut the mustard. That is such an odd saying, 'cut the mustard'. Mustard seems to have pretty high standards. What was the inspiration behind ‘Creatures’? Well, it was a follow-up to my album 'Landless' that I released in 2012, I wanted the sound to be a lot fuller and more thought out. After the album I formed a regular band with Leigh Ewbank on drums and Anto Skene on bass. We toured around the country a fair bit and got in guest musos and vocalists along the way, so the songs and the sound did naturally progress that way. It was also the first time I'd worked with a producer, Anna Laverty, who also recorded and mixed the EP, so this really made me construct the songs and the EP with a more of an agenda. Most of the songs are inspired by the terrible political state that we're in, along with the social issues that come with that. The music video for ‘Track One’ is very eccentric, how did the concept for that come about? We're just a bunch of weirdos who like doing weird stuff. So, the noir baby dolls, the action figurine and the dancing aliens seemed really fitting. Actually it doesn't have any correlation to the song, which is about being sucked into systemic patterns and schedules as determined by a particular scene or phase in time i.e. in the music, arts, fashion industries. Or maybe it does. I don't know. Often trying to find connections in things is exhausting, so sometimes I like just putting something out there without over thinking it, and seeing what happens. People will most likely form their own conclusions anyway. Your tour starts next week, what are you looking forward to most about touring the EP? We just got back from Adelaide and Warrnambool this weekend, actually. That was fun, but the drive between Adelaide and Warrnambool was so much longer then we expected. And the Cafe at Keith was closed for lunch! KEITH you do this everytime! haha. Anyway, no I really like going back to cool places that we have been to before - places, like Mandoo dumplings in Adelaide, Reverends in Brisbane, Tyms Guitars and in Brisbane; humans like familiarity, especially when you're on tour and there is a very fine line between feeling like crap and feeling good! It's also always nice to be able to catch up with friends and family who live in those towns as well. Oh, we also have a new song that we've finished writing and are playing on the tour - so that's exciting. Is there a particular stop in the tour that you’re excited for? I'm really looking forward to playing the Jet Black Cat gig at the End in Brisbane (i've heard great things about that record shop), and the home-town Melbourne gig at Shebeen and the last gig on the Tour at Trainspotters in Brisbane. Oh and Sydney with Bec+Ben! So, basically the whole thing. Is there any advice you can give to fellow independent artists who are trying to breakthrough? Don't take yourself too seriously. Don't be afraid to speak your mind - especially female musos and artists out there. Be supportive of each other. You can catch Ali E on tour at the below remaining dates.